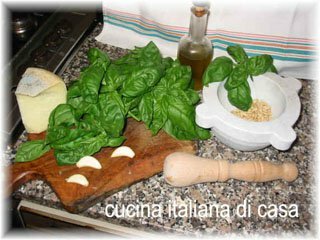 This is a great classic dish of the Ligurian cooking, very good in the hot summer days. 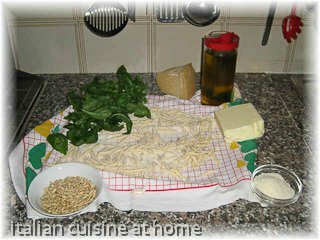 The trofie and the sauce are easy to make and the homemade pasta has, as always, a better taste. Notes to the recipe: The trofie and the sauce are easy to make and the homemade pasta has, as always, a better taste. The trofie pasta requires pasta dough semolina, very easy to make and also very quick.